There was a time, going back 150 years or more, when for one small town in Jamaica, my paternal ancestors were a big deal. Walkerswood Caribbean Foods grew out of a community cooperative that took shape in the 1970’s. Residents in the town and a few from surrounding communities began creating crafts and other items. Christine, my mom, became a member of the cooperative. She would take raw wool home and deputize the children in the house to help her to wash, dry, and then weave the wool. She would dye the yarn and knitted it into hats, sweaters, table mats, and other items. The cooperative diversified into food items. Mama would take home large quantities of crude cornflakes, oftentimes more than we could consume. It was nowhere close to the quality of imported brands sold in supermarkets. The first forays into jerk sauce occurred in about 1976. From those humble beginnings, Walkerswood Caribbean Foods, with about 80 employees, is now an important niche exporter of about 20 varieties of spices and associated products such as pepper sauce, curry paste, barbecue sauce, and various iterations of jerk seasoning. Its products are sold in the United States, Canada, the United Kingdom, New Zealand, and elsewhere in the Caribbean. The town, Walkerswood, owes its existence and relative affluence to two families–the Pringles/Simsons and the Harveys/Henrys. The Harveys, a black family, came into hundreds of acres of land sometime in the 1800’s. As to how and exactly when they did so is not yet clear. What is undisputed is that they owned the land before the 1880’s. It was not common for black Jamaicans to own that much land at that time in Jamaica’s history so soon after the end of enslavement in 1838. While it is conjecture at this point, it seems that the Harveys may have come into the land as early as the 1840’s or 1850’s, and likely by the 1860’s. In March 1882, one of the Harvey girls, Matilda, 24, married Thomas Henry, 26. They are my great-grandparents. In March 1881, exactly a year earlier, Thomas’ older brother, Richard, 37, had married Elizabeth, 31, a widow who seemed to have previously been married to a Harvey. It was the second marriage as well for Richard, a widower. Most of the land appeared to have fallen under Thomas and Matilda’s control. For reasons not yet clear to us, my great grandparents sold off most of the land while giving some of it away. The schools, community center, and several churches, such as the old Baptist church (that I attended as a child), the newer Baptist church, and the Methodist church, were all built on Harvey land, likely given freely to the community and churches. Some of the land was later acquired by Reynolds, a bauxite mining company. Most of it was bought by residents who built their homes. One guess is that more than 50 percent of Walkerswood residential homes are built on land once owned by Harvey/Henry. An uncle, Alton Henry, whose family and ours traveled to church together while I was a child, played a role in the early movement that was the precursor to the 1970’s Walkerswood cooperative. Martin Henry (no relation to us) passed on the story as told to him by Norman Girvan, a leading university professor and researcher in Jamaica and the son of Thom and Rita Girvan. Minnie Simson and her daughter, Fiona, owners of the Bromley estate had come in contact with moral rearmament (MRA) out of England. Bromley became a center for MRA meetings, for development activism, and for devotion…. There were these two men from the village, Peter Hinds and Alton Henry…[who] used to come to Mrs. Simson’s every Sunday morning for prayers, and right after prayers Thom [Girvan] would start talking to them and asking them what were their greatest needs. Out of that he formed the Walkerswood Pioneer Club with the two men as leaders. 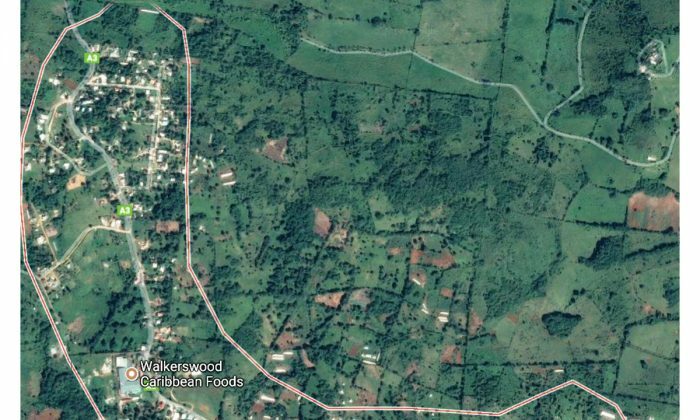 Though the club was founded in Walkerswood in St. Ann, the decision was made to establish the first cooperative farm in Lucky Hill in the parish of St. Mary, less than ten miles away. Alton, my father’s oldest brother, moved to New Pen in Lucky Hill and oversaw the cooperative farm there. Uncle Alton inherited much of the land not sold off or given away that was still in Henry hands in Walkerswood. He was “head cook” and “bottle washer” in the Baptist church of my childhood–organist, choirmaster, church secretary, and deacon. Little did I know that he was also scion of large tracts of land near the church, the land on which the church was built, and in the Cottage area of Walkerswood. The Pringles were possibly the wealthiest family on the island. A Scottish doctor, John Pringle, moved to Jamaica in the 1870’s, married into wealth and privilege on the island, and gradually took ownership of several large properties, including Bromley. Minnie Simson inherited the Bromley property from her father, John Pringle and, along with her daughter, Fiona, was instrumental in the formation of the Pioneer Club in Walkerswood and the cooperative farm at New Pen in Lucky Hill. The Simsons also helped to form the Walkerswood Community Council. Among the initiatives of the council was the creation of Cottage Industries, which later grew into what is now Walkerswood Caribbean Foods, currently located on land that was previously part of the Bromley property. It appears Walkerswood would not be what it is today without the generosity of these two families, one black, one white, who acted independently of each other, but whose lives also converged in unexpected ways to make Walkerswood a growing, thriving, and prosperous community.